He was destined to be a musician. With an extraordinary sense of musical talent and heart, and an absolutely different perception of people, nature, and the environment, he could conquer many souls, where he found a home to live forever. Tofig Guliyev was composer with great talent and nobility. History knows many notable music composers like Mozart, Bach, and Beethoven. The Azerbaijani musician entered the ranks of these genius composers with his phenomenal masterpieces. Born in 1917 and raised in Baku’s Icherisheher (Old City), he was one of the most appreciated Azerbaijani classical composers of the twentieth century. Guliyev had the perfect ear for music and a phenomenal musical memory. This talented musician was often referred to as the dean of Azerbaijani composers. Whatever he wrote turned into a masterpiece. Thanks to his unique works, the Azerbaijani music treasury was enriched with striking and unforgettable compositions. He was a great melodist. It is difficult to say exactly which of his works is the most beautiful, as each of them is a real masterpiece that leaves some magical influence on people’s brains. The prominent composer's songs had been beloved by people, as they were used in more than 40 national films. Guliyev was also a very prosperous pianist, and often accompanied singers who sang his music, with his excellent performance. He always called them co-authors of his songs. His songs had a power over each singer, who after having performed his beautiful compositions became a celebrity on the next day. Without any exaggeration, that person can be called a genius, as when he was only 12 years old, he started a preparatory course at the conservatory. He studied simultaneously in two departments at the Conservatory, which was rare at the time. 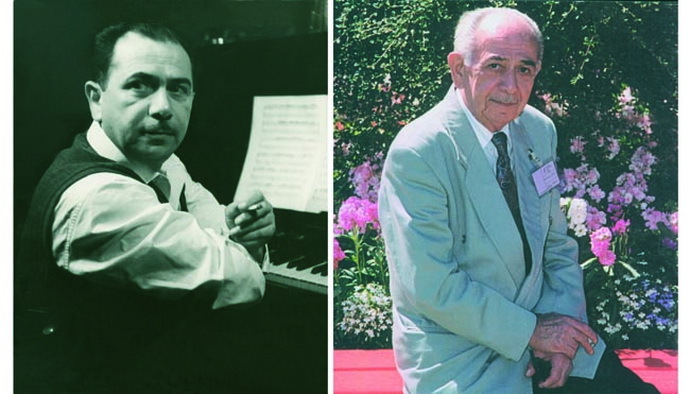 Many can be envious of his abilities, since it took real talent to compose music at the age of 14 as Tofig Guliyev did. He wrote his first composition to a song “About Schoolboy,” the text of which was adopted from classic Azerbaijan Kid's poem written by Mirza Allakbar Sabir. Guliyev greatly contributed to the national music industry. He is one of the first composers who transferred Azerbaijani Mugam, a unique musical and poetic phenomenon, into musical notes. He is a founder of the “composer music” genre in 20th century Azerbaijan. His splendid songs are still young, modern, and will never go out of style. Guliyev always kept in step with time, but not to the detriment of his music. “I am not against modern technical capabilities if they help, but do not replace a performer,” he noted. He had a unique talent to synthesize Azerbaijani folk music with European, not losing the peculiarity of the former, creating exceptional pieces. In the 1930s, Western music began to gain popularity in Azerbaijan. Guliyev was the first among Azerbaijani composers to establish the first Jazz Orchestra in Baku. In 1941 an orchestra headed by Guliyev gave its first concert at the Baku Philharmonic Hall, thus marking the birth of national jazz. He went down into the history as the founder of Azerbaijani pop and jazz music. The composer died in 2000 on October 4 at age of 82 after suffering a chronic illness. The years will pass but his songs will be performed by newer singers and live in the hearts of every music lover.